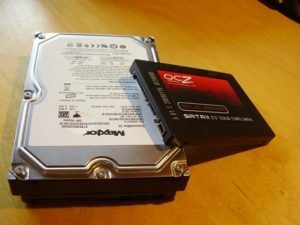 How Can My Data Be Recovered? What does “delete” really mean? According to the dictionary, it means to remove; cancel; or erase. Your computer doesn’t quite follow the dictionary’s definition. When you delete a file from your computer, that data really isn’t deleted entirely. So, what happens when you “delete” a file? After deleting a file or moving into the trash bin, the data continues to live on the hard drive. If you go one step further and clear the trash on your computer, the data still continues to live on the hard drive. The operating system of your computer, such as Windows, keeps track of where files are stored through pointers. The pointers tell the operating system where the data begins and ends. When you delete a file, the operating system removes the pointer from the file and declares that area containing the file’s data as unavailable. From the system’s point of view, the file is no longer on the hard drive. The data is still present, only the pointer has been removed at this point. The computer doesn’t erase the file completely when you delete it, because simply removing the pointer is a much faster operation. Since the pointer has been removed and the file has been deemed available, the operating system can write over the data. The data is available to be recovered until the operating system writes over it. 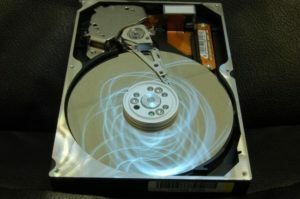 A file recovery program can scan the hard drive to find the deleted file and it can restore data that has been overwritten already! Don’t let the word deleted get you down. Technology is amazing! Deleting data doesn’t mean it is actually gone, there is still a chance for recovery. The professionals at Dijital Majik in St. Cloud, can help with data recovery and any technology issues you’re experiencing.